Going green can seem overwhelming, but we’re here to help. We’ve compiled 100 of the top tips to live a green lifestyle and sorted them into 10 aspects of your life. It’s as easy as checking off a checklist, one by one. Each step that you take makes our world a better place! Just click one of the categories below to get started, or scroll through all 100 tips! 1. Educate yourself on the different kinds of hybrid and electric cars and choose a model that is good for the earth and your wallet when you make your next purchase. 2. Drive green by consciously making an effort to accelerate and brake so as not to waste energy. Check out cool smartphone apps that help you if you don’t already have a monitoring device in your car. 3. Make a friend at work and start carpooling. 4. Start using public transportation, even if it’s just for one trip a week. 5. Forget about the road trip on your next vacation and look into buses, trains, ferries, or other alternative modes of transport. 6. Walk or bike to work, school, or wherever you’re going. You know those under 5-minute drives that seem silly if you really think about it? Cut them out of your life for good and get some fresh air and exercise while you’re at it. 7. Make sure to get your car into the shop regularly, as regular maintenance can help your fuel efficiency and pollution emissions. 8. Use the AC sparingly. It may be automatic to have it on June-August, but if you roll down the windows that’s probably enough for most summer days. 9. Talk to your boss about work-from-home options to save on commuting, or switch to a 4 day week with longer hours if you have flex time at your place of employment. 10. Plan your excursions that you aren’t constantly running out for one thing or another. Running errands on your way to or from somewhere you need to be can save you a boatload of time and help the earth. 1. Buy personal care and beauty products with a certified organic seal to avoid harmful chemicals. 2. Read the ingredients labels on your personal care products and try to only purchase products with a short list of familiar ingredients. 3. Avoid products that contain phthalates, which have been linked to birth defects and issues with male reproductive organs. 4. Check out Pinterest and other helpful sites for recipes to make your own personal care and beauty formulas with simple, natural ingredients. 5. Purchase products with limited and environmentally friendly packaging to avoid unnecessary waste. 6. Choose products from companies that commit to environmental and social standards in the way they do business. GoodGuide is a great app for assessing a company on the fly. 7. Look for the Humane Cosmetics Standard to ensure that a product hasn’t been tested on animals. 8. Opt for lip balms made of beeswax instead of those which are composed of petroleum derivatives. 9. Go sans-perfume. Fragrances are not subjected to the same standards as other products, so they are not required to disclose their complete list of ingredients. 10. Don’t be fooled by companies that try to greenwash you with terms like “natural”. Many of these buzzwords aren’t certified, so check for a certification seal. 1. Opt for reusable biodegradable diapers for babies to ease the impact of your family on landfills. 2. Talk to other neighborhood parents about the possibility of carpooling to school, sports games, and other activities. 3. Get your kids involved in green living by starting a family compost pile or teaching them the importance of recycling. 4. Dress your children in organic fabrics to stay clear of toxic chemicals. 5. Look for PVC-free toys. Polyvinyl chloride releases toxic chemicals into your air, affecting your children’s respiratory systems as they play. 6. Ask around for secondhand clothes and toys from friends and family with kids older than yours. 7. Try to limit the amount of battery-powered and electronic toys your kids play with to save on energy. Playing outside, coloring, or playing with simpler toys is better for the environment. 8. Shop for green back-to-school supplies like biodegradable pencils and recycled paper. 9. Use reusable containers instead of plastic bags for packing lunches and snacks for your youngsters. 10. Choose organic food for your kids to help the environment and keep hormones and chemicals out of their bodies as much as possible. 1. Spay and neuter your pets to do your part to reduce the homeless pet population and improve your pet’s health. 2. 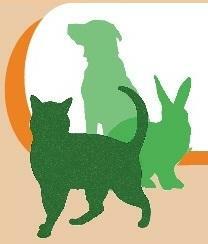 Switch your pets to certified organic food. It may cost more, but you don’t want your pets consuming food that consists of unknown animal parts from animals raised unsustainably. 3. Look on the internet for recipes to make homemade treats for your pets so you know exactly what’s going into their bodies. 4. Buy pet products in bulk to save you money and to reduce the amount of packaging you contribute to landfills. 5. Donate old newspapers to your local animal shelter to line pet cages. It’s a great way to do the “reuse” of reduce-reuse-recycle for a good cause. 6. Consider adopting a pet instead of purchasing one from a for-profit breeder. 7. Buy biodegradable bags for your dog’s waste so that it doesn’t clog up landfills. 8. Shop for toys made with organic materials so they are free of harmful chemicals. 9. Use certified-organic grooming products to avoid toxins entering the air and your pets’ bodies. 10. Don’t use fertilizers or pesticides that can be harmful for animals on your lawn. Take steps to green up your lawn so it’s safe for all the creatures that live in it. 1. Buy local and seasonal produce to cut down on the transportation costs of your food, both to your wallet and the environment. 2. Ditch disposable plates, silverware, etc. for reusable options. 3. Don’t buy individually wrapped snacks for convenience, as that means much more packaging that ends up in landfills. 4. 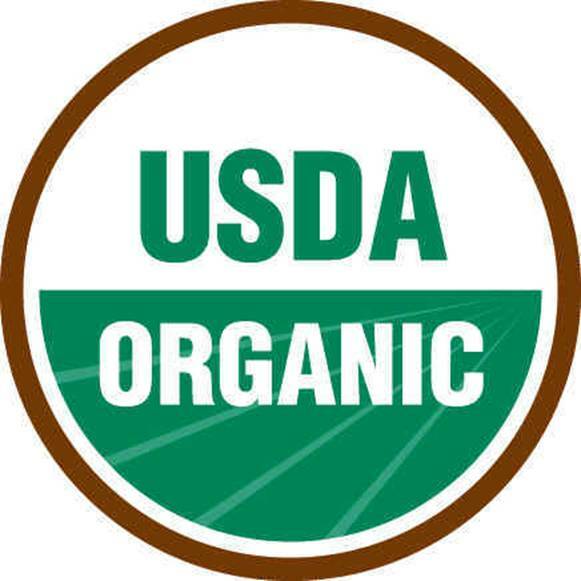 Purchase certified-organic foods whenever possible. 5. Check out fair trade options for items such as coffee or chocolate to ensure that the workers who produce your food are being treated equitably. 6. Start a vegetable or herb garden to grow your own food sustainably. 7. Switch to a more plant-based diet. Meat production requires huge amounts of natural resources, so limit your consumption to save the environment and improve your health. 8. Look for organic wines, beers, and liquors as well as produce. 9. Make sure your animal products are organic and come from free-range animals, who are fed vegetarian diets. Even better, buy from a local farm to ensure the animals are treated well. 10. Say no to bottled water. Even if you recycle the empty bottles, they are still very wasteful. Choose a reusable bottle made of safe plastics instead. 1. Do an energy audit on your house or pay to have one done to get a realistic picture on your home’s impact on the environment. 2. Switch out your current lighting for LEDs and fluorescent light bulbs to save on electricity in a big way. 3. Consider installing motion sensors on your lights to make sure you aren’t wasting energy on lighting an empty room. 4. Go paperless with your home utility bills and start paying bills online instead. 5. Do your best to unplug electronic devices when they aren’t in use. 6. Switch out old appliances for newer, energy-efficient models. The initial cost will soon be outweighed by savings in electric bills. 7. Be smart with home cooling by using natural ventilation and blocking out sunlight during peak hours to regulate your home’s temperature. 8. Look into the possibility of an alternative-energy system for your home. You may not want a windmill in your backyard, but solar systems are becoming way more affordable and common for homes. 9. Make sure your home is well insulated to save on home heating during the winter months. 10. Work towards the goal of carbon neutral by buying renewable energy credits to offset your usage. 1. Fix any leaky faucets and plumbing to dramatically reduce your water usage. 2. Make sure your house is properly ventilated, especially the bathroom. High humidity can lead to mold and other microbial growth that drastically reduces indoor air quality. 3. Look for sustainable wood certified by the Forest Stewardship Council when shopping for furniture or wood flooring. 4. Opt for organic and sustainable materials during home renovations. Materials like bamboo are harvested sustainably and are very versatile. 5. Check to see if the materials and goods you purchase are able to be disposed of in a sustainable way during your next home renovation. 6. Shop secondhand for furniture and home goods if possible. 7. Spend a little more for items that will stand the test of time, so you don’t need to throw them out and replace them in just a few months or years. 8. Buy local whenever possible to save on wasteful transportation. 9. Avoid harmful chemicals in paint and flooring options. Do your research to select low-VOC emitting options. 10. For major renovations, look for a contractor that specializes in green building to make sure that you’re making environmentally friendly choices. 1. Reduce first. Recycling is great, but few things are 100% recyclable. Reducing the amount of waste we produce is the best step we can take. 2. Educate yourself on what can and cannot be recycled in your area. 3. Have a garage sale to clear out your home of old possessions rather than filling up a landfill. 4. Find somewhere in your area to recycle old electronics and batteries, which leak harmful chemicals into the ground when they are simply thrown away. 5. Purchase products made from recycled materials whenever possible. 6. Don’t go it alone- make sure everyone in your household is fully committed to recycling. 7. Practice “pre-cycling” by looking for products that can be recycled when you are finished with them. 8. Ask your car mechanic if they are able to dispose of motor oil and antifreeze, as dumping these chemicals leads to water pollution. 9. Donate old clothing and other items to charitable organizations rather than just throwing them out. 10. Start a compost pile to put food and organic waste to good use. 1. Shop for green cleaning products with simple ingredients, no harmful chemicals, and biodegradable packaging. 2. Make your own home remedies with vinegar, baking soda, and other traditional cleaning agents. 3. Make sure your home is properly ventilated to avoid toxic air from cleaning products and other air pollutants in the home. 4. Place doormats at each entrance of the house and don’t wear shoes around the house to avoid trekking in outdoor pollutants. 5. Use reusable cloths rather than paper towels for cleaning. 6. Use vinegar or baking soda to absorb unpleasant odors, rather than expensive and wasteful home fragrances. 7. Hang your laundry to dry instead of always using the energy-intensive dryer to do it for you. 8. Use a mop instead of a floor cleaner with disposable pads to cut down on waste. 9. Donate and recycle as much as possible when it comes to de-cluttering your home. 10. Get your air ducts inspected and cleaned if necessary to avoid circulating polluted air throughout your home. 1. Get outside for sports and outdoor activities to reinvigorate your passion for the environment. 2. Choose canoes, kayaks, or sailboats instead of motored boats for your days at the lake. 3. Stop using chemical fertilizers and pesticides in your yard or garden. 4. Collect rainwater to reuse for watering your garden, cleaning your car, or any other outdoor use. 5. Buy gear for outdoor activities secondhand. 6. Green up your pool by using ultraviolet cleaners instead of chlorine and installing a solar cover to heat the pool naturally. 7. Only water your garden or lawn when absolutely necessary to cut back on water waste. 8. Opt for eco-friendly outdoor lighting options like solar-powered lanterns and LED floodlights. 9. If you have space, plant a tree to do your part to offset the devastating effects of deforestation. 10. Use natural cleaning solutions for washing windows and outdoor furniture.